Jade mats are made with natural rubber and contain no PVC or other synthetic rubbers. Natural rubber is tapped, like maple syrup, from a rubber tree, a sustainable, renewable resource. Our rubber primarily comes from farms in Malaysia. These farms are similar to American farms, in that the trees are cultivated – not wild. Many of these farms have been in existence for decades and even generations. We use natural rubber because it grips better and has more cushion than any of the synthetic rubbers on the market (PVC, PER, TPE, EVA). It is also better for the earth as it is made sustainably. In addition to natural rubber, our mats contain both natural and man-made components. The precise components of our mats are proprietary (the last thing we want is someone knocking off our mats overseas); Jade mats contain no PVCs, heavy metals or ozone depleting substances. All components are approved by FDA for use in rubber in continuous content with food. Although Jade mats are made from a rubber tree, they are 99% latex free. Nevertheless, there may be trace amounts of latex proteins in the mats, so we recommend that people with latex allergies avoid contact. Jade mats are eco-friendly as they are made with a renewable, sustainable resource – natural rubber, tapped from rubber trees. Jade mats contain no PVC or other synthetic rubbers. Perhaps most importantly, Jade mats are made in the United States in compliance with all US environmental and labor laws. 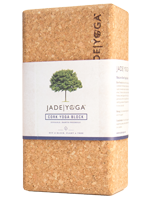 Finally, through its partnership with Trees for the Future, JadeYoga plants a tree for every mat sold. Spray mat with our botanical disinfectant spray (Benefect®). Air dry or wipe with a micro-fiber cloth, which does not give off lint. Spray on the mat, then wipe with micro-fiber cloth and water. 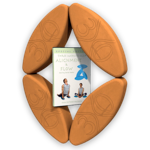 Lay a big absorbent towel flat on the floor with the mat on top; roll them up together and press hard with hands and/or knees. This will transfer 90% of the water from the mat to the towel. Hang up indoors, and it will be dry in about 24 hours. Do not expose the mat to the sun, outside or by a window. The UV rays will break down the rubber, ultimately resulting in a surface that feels slippery and dry. UV damage is cumulative. 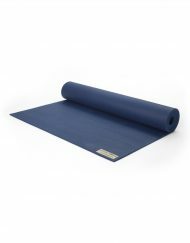 When you are not using your mat, it is recommended that you keep it rolled up in a bag. Protect your mat from extreme temperatures, such as keeping it in your car throughout the seasons. What can I do with my old mat? What do you mean by 'Buy a mat, we plant a tree'? 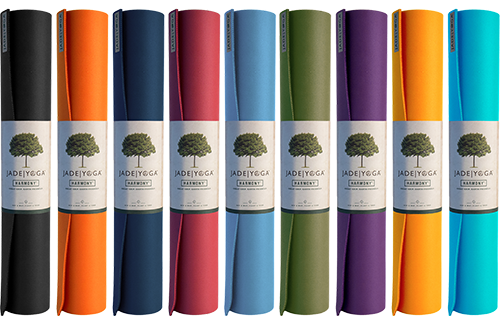 While it has always been our goal to make the best performing yoga mat on the market and we are very proud that Harmony is made with natural rubber, a renewable resource, contains no PVC or ozone depleting substances and is made in the United States in compliance with US environmental laws — we felt we could and should do even more. We looked for a partner to help us give back to the earth and found Trees for the Future to be the right choice. What we like about Trees for the Future is that they work with local communities on projects that are environmentally and economically sustainable. They are not about going in and dictating what they are going to do, doing it and walking away. They engage the local community which leads to a project that can continue long after Trees for the Future has left. Trees for the Future works to develop and implement programs to improve living standards for the participants, by the careful management, rather than the exploitation, of our natural resources. 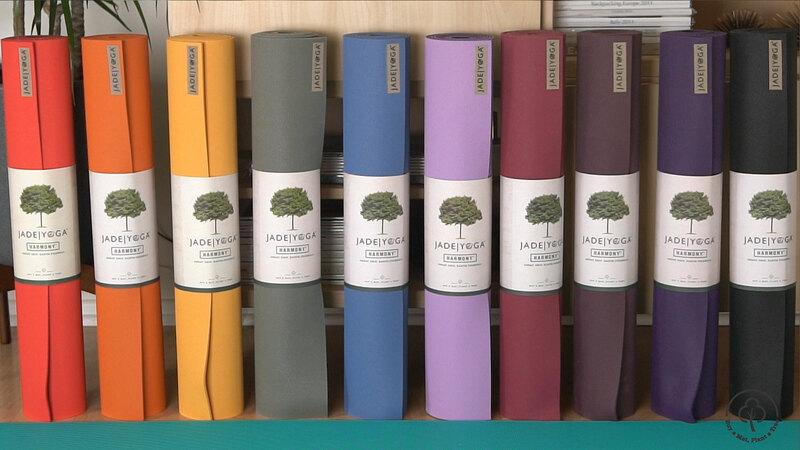 Through this partnership with Trees for the Future, we plant a tree for every yoga mat we sell. 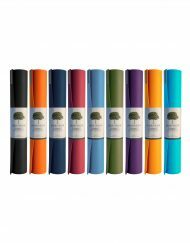 Yogi’s Love Jade Yoga Mats! Click here to read what people are saying about our mats.